I love a good cup of tea, especially in the morning. 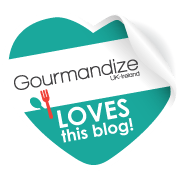 My morning brew has to be regular black tea with some almond milk but during the day I’ll drink fruit tea, green tea and right now my favourite is matcha tea with almond milk and ground cinnamon – it sounds a very random combination but give it a try it’s really good. 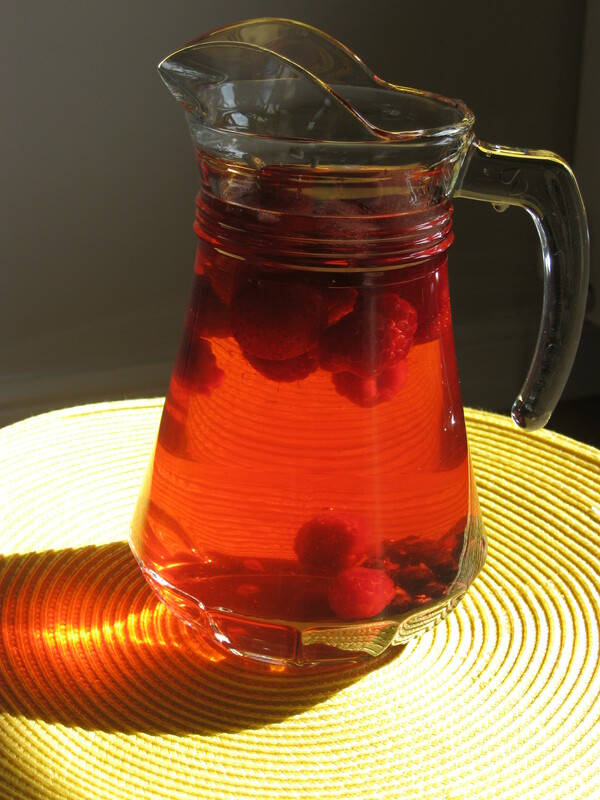 With the lovely warm Summer days a steaming cup of tea just isn’t working for me so I made this iced fruit tea the other day and it refreshes and cools you down. You can use any flavour of fruit tea you like, same as the fruit which you add. I think mint or even basil would be a nice addition too. Place the teabags in a jug and cover with the boiling water for 3 minutes. Discard to teabags and allow the liquid to cool a little. 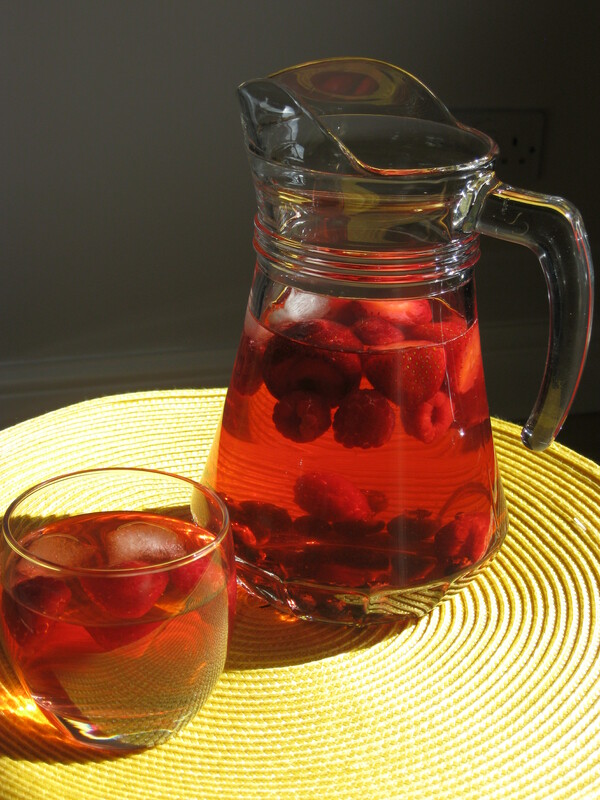 Add ice cubes and fruit and top up the jug with cold water. Serve immediately or keep refrigerated until ready to drink.